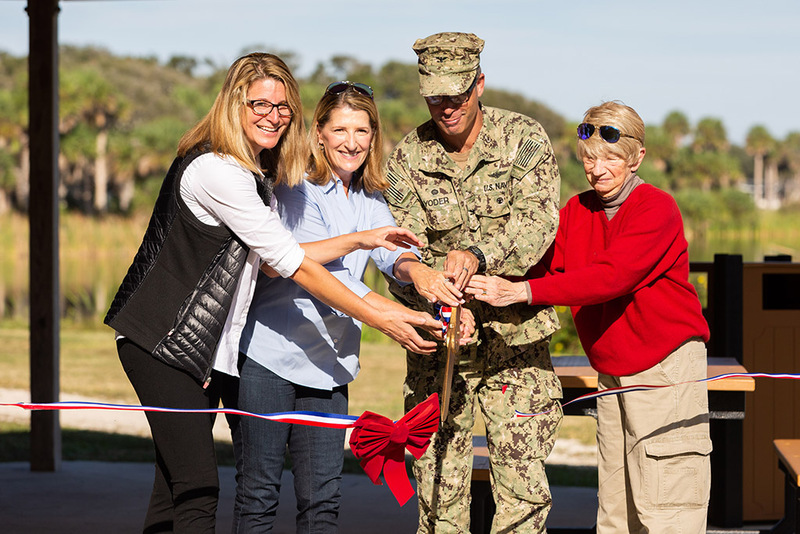 The Armed Forces Family Foundation and True Blue: Navy Family Benefactors joined forces once again to renovate two large picnic pavilions located at Naval Station Mayport’s Lake Wonderwood Preserve. The two charities celebrated the completion of the project on Wednesday with a brief ribbon cutting ceremony, which was attended by military members and families living on base and top-ranking base officials. 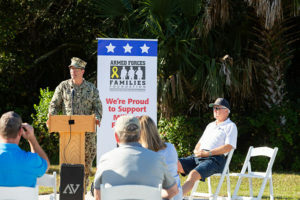 During the event, representatives from AFFF and True Blue unveiled new structural renovations and the addition of needed amenities for two picnic pavilions located at phase two and three of the on-base lakeside park. 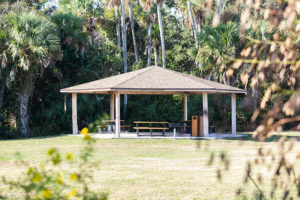 The upgraded amenities include two BBQ grills, seven wear-resistant TREX picnic tables and two TREX trashcans, which can be used freely by residents living on the base and for community events. The additions will expand the capabilities of the structures and allow for even greater usage by the service men and women of NS Mayport and their families. AFFF donated a total of $19,790 for the project, which further aids True Blue’s continued mission to renovate and maintain Lake Wonderwood Preserve.